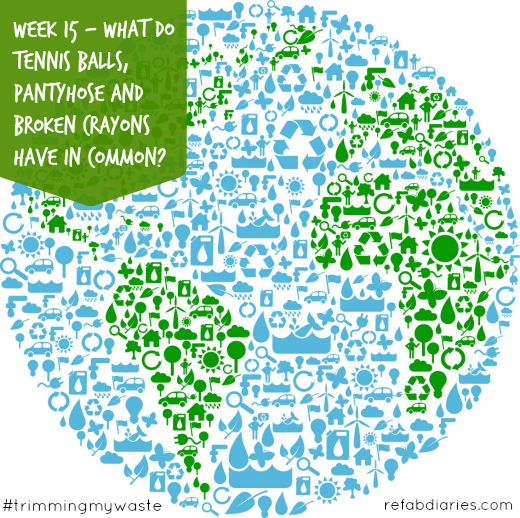 What do tennis balls, pantyhose and broken crayons have in common? They're actually recyclable. Not through your city's recycling service, but in other cool ways! So in honor of Earth Day, here are 20 things you might be surprised to discover can actually be returned for repurposing, recycling or upcycling. Here's to keeping more stuff out of landfills. Wine corks can be recycled and used in a variety of materials including flooring tiles, insulation, automotive parts, and sports equipment. 6. Old or unwanted bras can keep supporting the girls. And freeing them. Make the most of local take-back programs: April 30th is a national drug take-back day in the USA! Many companies who use these are happy to reuse them. So send them back - they’re nasty. The tapes are taken apart and shredded and then turned into all kinds of useful things, like product packaging.